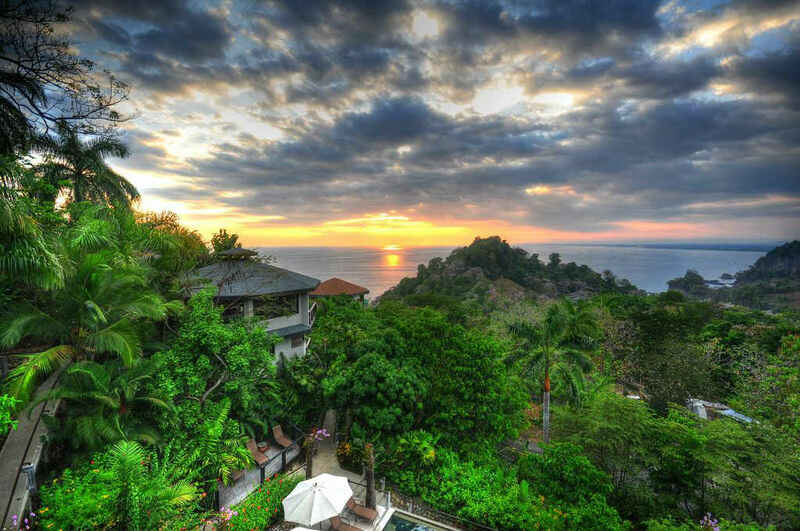 If you have ever been to Costa Rica, you know how beautiful the place is! The pictures of the place looks no less than wallpapers. We all have heard a lot about this place, about the various adventures that we can indulge in. But, there is more to this. Once you start knowing the past of this scenic region, the first expression that will come to your mind is ‘what a grandeur was Costa Rica!’. Costa Rica’s rich history is worth sharing which even engulfs the visit of Christopher Columbus and Spanish colonization. Here, let me share the past of one of the most economically and politically stable region of Central America. The main historical events of the place can be divided into three categories- Pre columbian era, Spanish colonization period, Part of United Provinces Of Central America and Democracy. Pre-Columbian era: There is a lack of abundant source to trace the exact origin of the habitation in Costa Rica. Archeological findings confirm the arrival of the hunter gatherers about 10,000-7000 years ago. The ancestors of the famous South American arrows have showed its existence in this region. It was followed by the era of settlers during the Neolithic age, when Costa Rica was not inhibited by more than 20,000 people.This period of Costa Rican history goes by the name of ‘ Intermediate Area’ between the Mesoamerican and South American native origins. Just like the beautiful scenic beauty of the place, it has also held a beautiful tribe culture. Four important indigenous tribes dwelled in this place- Diquis, Borucas, Caribs and Chibchas. Spanish colonization period: History holds evidence of how the Europeans were always in search of market openings and a rigorous search for gold and spices. Christopher Columbus set his foot in Costa Rica in 1502, with the hope of getting gold. Gradually more Spanish travellers made their way to this otherwise secluded land and thus Costa Rica became a Spanish colony. As the spanish realized that Costa Rica did not have the bullion that they required and there was also a shortage of labor, they left the place to develop on its own.Hence, a different culture grew, which was autonomous and agrarian. Part of United Province of Central America: The place became famous for plantation, but the indigenous population did not have enough force to resist colonialism. By 1821, the population of Costa Rica joined the other Spanish colonies for revolt against the colonizers for declaring independence from Spain. The transition from a colony to a democracy came to Costa Rica after a gap of 16 years. During the period from 1823-1839, it was a part of the United Province of Central America. Democracy: Costa Rica stepped into democracy in 1869 by witnessing the first ever election. Ever since, Costa Rica had a peaceful history with the exception of 1917-19, when it underwent a dictatorial rule by Federico Tinoco Granados. Again in 1978, the region witnessed a socio-economic crisis by relying completely on the export of banana and coffee. Once, a large pastoral and agrarian country, underwent a major downfall. Thereafetr, it started completely relying on eco-tourism and technological industries and this was the best choice ever made. Why do you need to visit Costa Rica? Every year Costa Rica attracts thousands of tourists. If you are thinking of visiting the place, then start making plans from now. I will tell you why? Costa Rica not only has a beautiful history and a scenic beauty, but there is more things attached to the place. Let me brief it. Soothing climate– The climate of this place suits almost everyone. All the year round the climate is moderate and is often described as ‘spring like weather’. If you are looking for a mild climate, the mountains and Lake Arenal are there and for a more warmer weather, there is the beach. A lot of adventures– If you love boating and fishing then Lake Arenal is your right destination. You can sail around the mountainous perimeter of the Arenal mountains and indulge in fishing of the famous Guapote here. Low cost of living– The cost of living here is also very affordable. The real estate here is like a dream come true. Furnished houses, patio covered exteriors with scenic beauty, all the best dream houses you can think of will just suit your budget in Costa Rica. Friendly locals– The community here is very friendly and receives the neighbours with open arms. So, overall you can have a very comfortable stay in Costa Rica. Now you know why Costa Rica is becoming the favourite destination for people post retirement. Everyone wants to settle in this enchanting land. Not only the place offers a rich history, but also offers all the comfort zones that you require. People who visited Costa Rica had tried to extend their Holiday package for more days or they take House for Rent in Costa Rica to spend more days to know more about the culture.